The best storytellers carry their ideas in the brain like a burden. It's not a manner of wanting to tell a story, it's a need. Like most of us, Gerard has a day-job that usually keeps him fairly busy but his desire to tell stories never goes away and he sticks with them even years later. After some time and two volumes of his first comic series The Umbrella Academy along with artist Gabriel Ba, Way is back with a new series, The True Lives of The Fabulous Killjoys along with co-writer Shaun Simon and Illustrator Becky Cloonan. It's been a long journey but the adventure hasn't even begun. In 2010, My Chemical Romance released the album "The True Lives of The Fabulous Killjoys which was a high concept, rip-roaring story full of deserts, laser guns and fighting for the greater good. Two videos were made from songs off that album that were the first introduction to the world of The Killjoys but as Gerard states below it works for both people familiar and not familiar with the album or their music. I got a chance to talk to him while he locked himself away writing in a hotel room in Portland and suffice to say his love and enthusiasm for comics and art was infectious. Dave: Who am I speaking with? Gerard: This is Gerard Way. 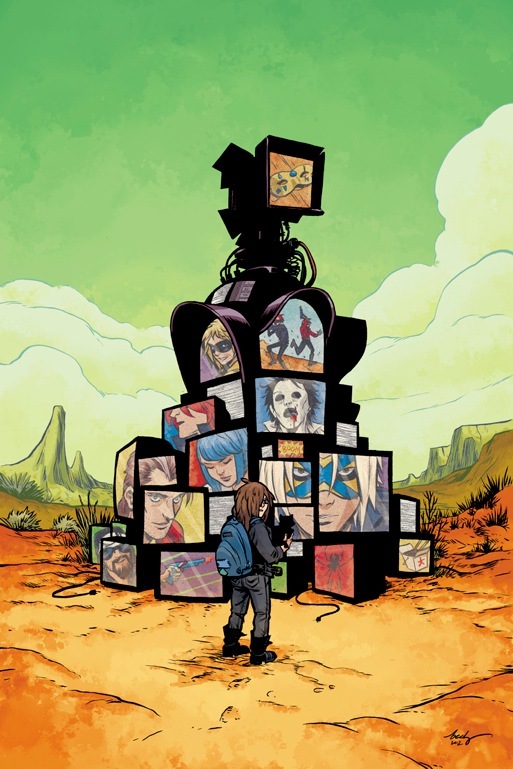 I'm the writer of The Umbrella Academy and The True Lives of The Fabulous Killjoys with Shaun Simon. 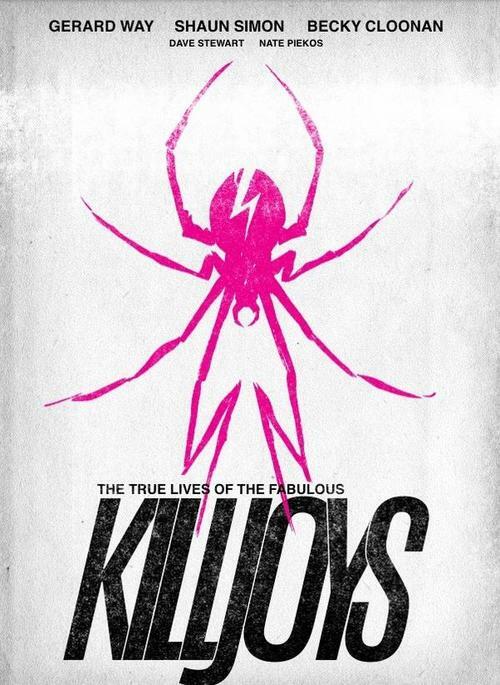 Dave: So for people who don't already know what's the story of The True Lives of The Fabulous Killjoys? Gerard: The most basic way to describe it is it's a coming to age story about a young girl. Somebody who a lot of people have died to protect and she doesn't really know why. She's being treated like she's part of a prophecy and very important but she doesn't really know or care very much why. This character kind of chooses her own path. She's stuck in the middle of this conflict and hopefully she has something to do with the resolution. Dave: How long is it going to be? Dave: What's it like collaborating with another writer? Have you done that before? Because with The Umbrella Academy it was just you, right? Gerard: I had done it before with Scott the editor of The Umbrella Academy. That was the closest even though I turned in the scripts alone for that. I'd definitely walk around a lot with Scott and bounce ideas off of him. At first for me there were definitely some growing pains because (writing) was always this solitary activity but then it becomes a group effort. Shaun is so amazing like the trust developed over a year and now the way it works is really great. It was tricky at first, though. Dave: One of the benefits of comics is kinda of you know with movies and TV and novels you always have a lot of editorial interference and producers and your story gets diluted because it runs through so many different channels and people. Comics are kind of one of the last pure forms of storytelling. Gerard: This book is clearly Shaun and I. What's great about Becky is that she was involved from a very early stage not even getting paid just doing sketches for us. Way back before the comic became the album title she was doing tons of sketches and making really great art and she's always been part of the project. She definitely had a hand in it's creation as well. Dave: The first we're gonna see of it is on Free Comic Day May 4, 2013? 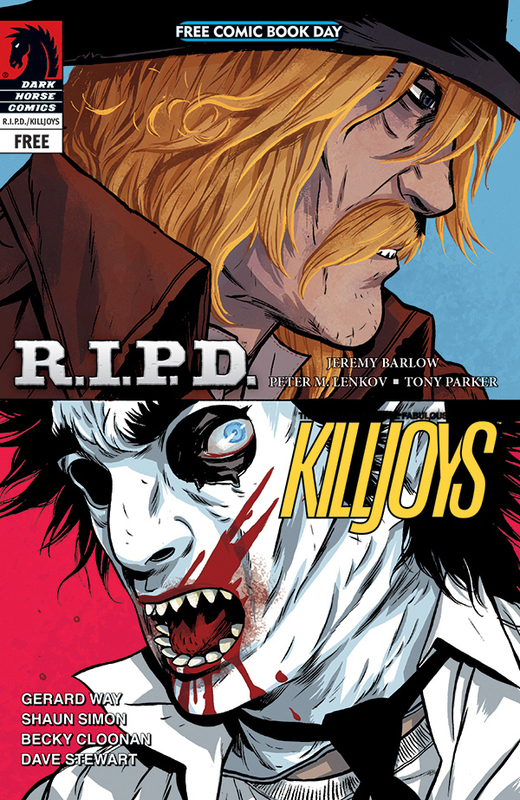 Gerard: Yeah for Free Comic Day we got to do this really cool kind of unrelated story but kind of part of the world of Killjoys. Dave: How does it feel that you are a part of comics now? Gerard: It's like a dream come true to be a part of that. I have this really great, interesting fanbase that's really smart and energetic and how could I steer them towards a medium that shaped who I was? You know, steer them toward comics. So that was definitely part of what I wanted to do was bring in new readers and keep comics vital by using in a (positive way) a fanbase cultivated from making music. Dave: One of the first things I noticed when reading The Umbrella Academy was in the liner notes there is just one tiny mention of you being "the singer of a band," and I think that was really, really cool because I think any company other than Dark Horse would have thrown a huge My Chemical Romance sticker on the front of it and have that being the selling point. Gerard: The best part of working with Dark Horse was they were really cooperative and they completely understood why I didn't want to exploit being in a rock band. We believed in the book so much that we thought it deserved a fair shot instead of it being a vanity project. Most times with vanity projects, publishers don't believe in the work they just believe in the name. I wanted an even playing field because I knew I believed in the work and I wanted people to read it with an open mind. That was more important to me than selling more copies and that was more important to Dark Horse, too. They were great about it. Dave: So that was always a conscious thing you set from the start? Gerard: It was so conscious that we had to be like extremely careful and strategic and there were a huge set of interviews that we didn't do. People would try to get us to play Comic Con and we'd never do stuff like that. Dave: I definitely really respect that because like i said any other company would have tried and made that the focus and like a marketing thing. Gerard: I think it was really important that we didn't make The Umbrella Academy a vanity project. 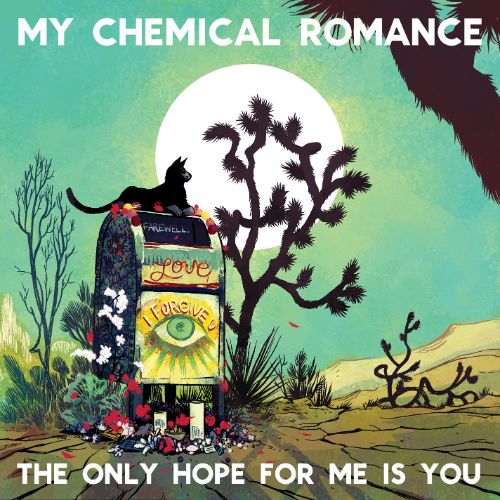 Killjoys, it was tricky because it was connected to an album which was solely a creative decision. I wanted something where I could explore comics and music at the same time. Dave: You said you are currently writing the third volume of The Umbrella Academy, "Hotel Oblivion?" Dave: How far along are you with that? Gerard: Early stages. I had some really great moments on inspiration where I basically wrote out and plotted out page for page the first issue and started the second and third. One of the things I really want to do with the third series is have a really tight outline for each issue all the way to the end. Dave: So what else are you working on besides Killjoys? Gerard: Umm just right now finishing up Killjoys, writing Umbrella Academy. We're on a small break right now making the new album so I'm kinda focusing on other things so I just want to write and making some other kind of music that are un-band related. I'm working with The Aquabats for their new season... I co-wrote and got to direct a little bit. Mikey, my brother got to act on it. We're just kinda trying different stuff just because we have the chance to. Dave: When do you sleep? Gerard: When do I sleep? Not very much, I have a daughter and you know it's kind of funny that you should say that because I feel a lot less prolific than I used to feel but I also feel very good right now. It's gonna be the finishing and execution of these things whether they happen or not that's really gonna prove if I can do all this. If I announce something i'm making sure I'm doing it.